Tiffany's Online Finds and Deals: Grab this beautiful Better Homes and Gardens Rose 3-Piece Bistro Set for almost half off! 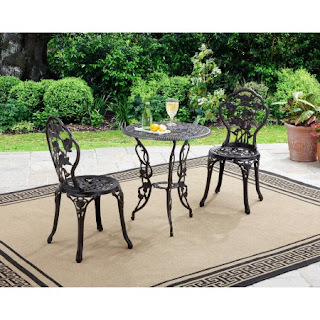 Grab this beautiful Better Homes and Gardens Rose 3-Piece Bistro Set for almost half off! This beautiful rose bistro set is currently ONLY $66.47 FREE shipping at Walmart!